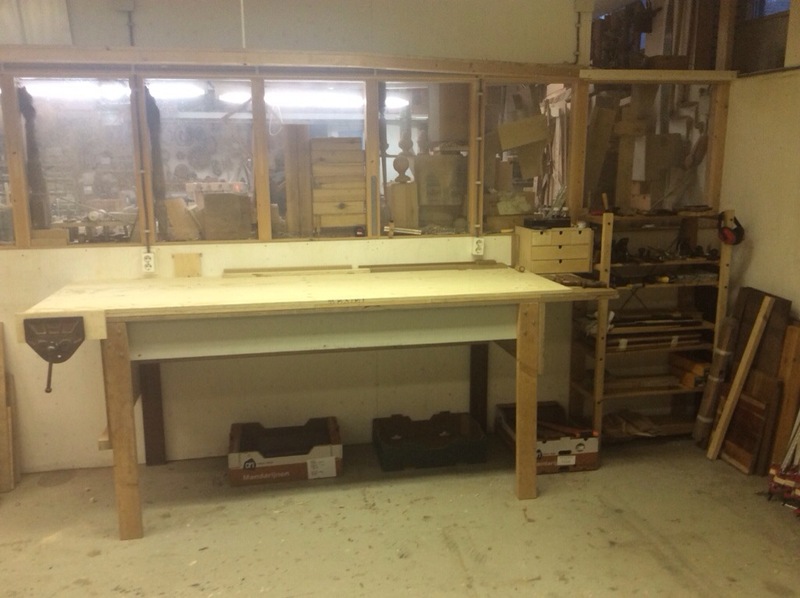 I finished my workbench today. It’s made almost completely out of reclaimed wood (only the top layer of plywood is new). The previous tenant had filled a container full of stuff he didn’t want anymore and it seemed a waste not to use it. He even through away a box of screws and bolts which I used to put the whole thing together, even for attaching the vice. It was a great experience making this bench as I’ve never made anything this large before and I challenged myself to work with what I had. 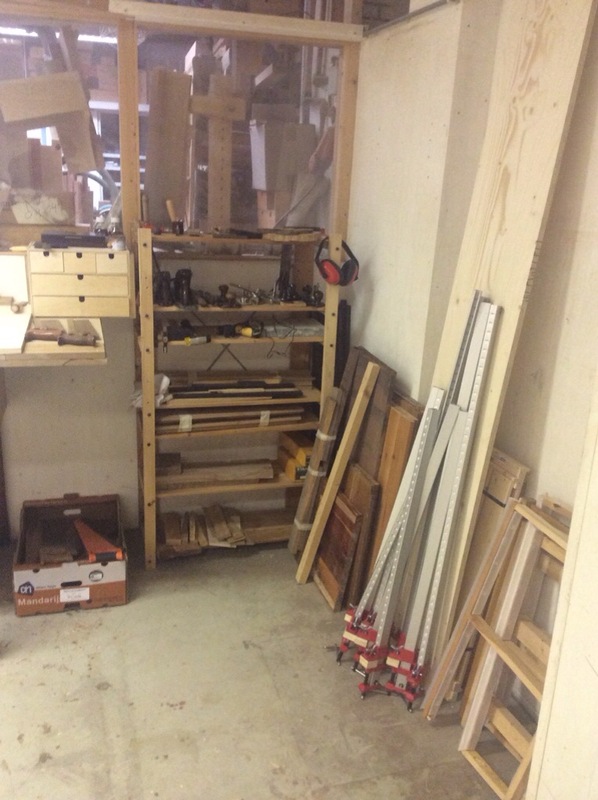 I moved all my tools and wood from my flat to the new workshop as well, so now I’m ready to begin! 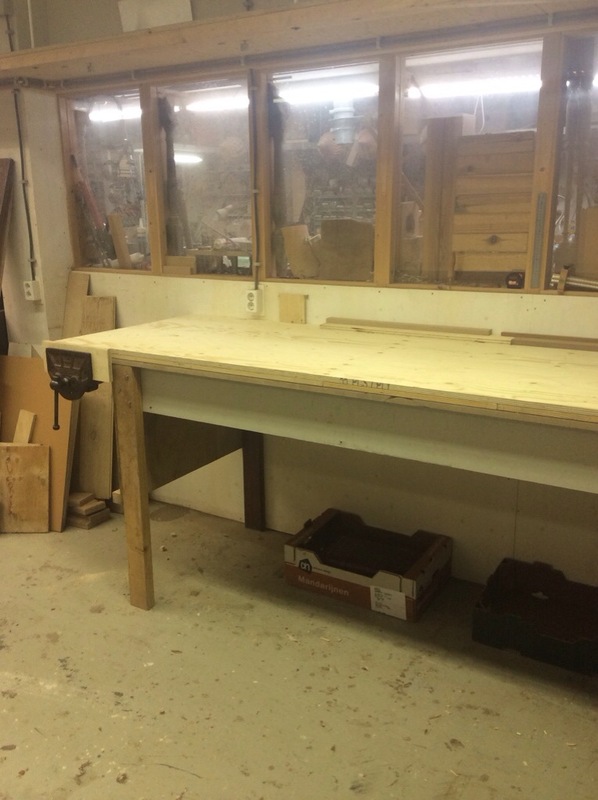 In an era of workbench fads, and one in which bloggers regularly chronicle their year-long bench builds, it is good to see someone build a clean, functional bench in a very timely manner with what they have on hand. I look forward to seeing how you put it to use. And congrats on the new shop digs! Thanks! 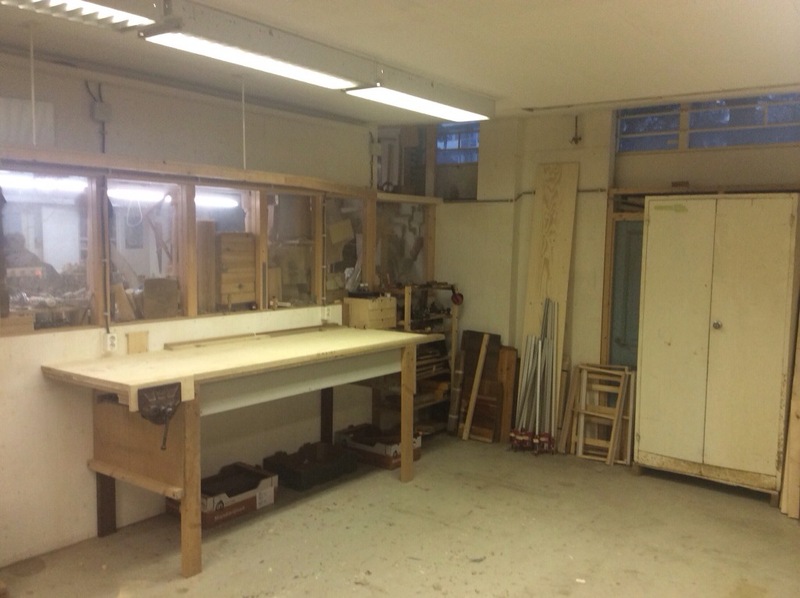 When I had my workbench at home, I did do some research into making a classic style workbench but simply didn’t have the space to build one. Now I do have the space, but it would have been such a waste not to use what was on hand. Also, the people I share the workshop area are very practically orientated and for them it’s also their business. Being in that environment also influenced my approach. Either way it’s a very satisfying feeling having a bench I’ve made myself!